Pass the JB Welld Please Ramon! Re: Pass the JB Welld Please Ramon! Yes it was. But not to you. I appreciate shots like this. It helps us newbies. That hurts to look at it Jason. Definitely a bummer!!! We've all been there though. Well if it helps others I will tell what factors caused it. To start with I probably had a bit more than I should out of the vice as I wanted to see that the drilling at the far end of the chest to guide the vale rod did not wander. I did not disturb the work for the next op. 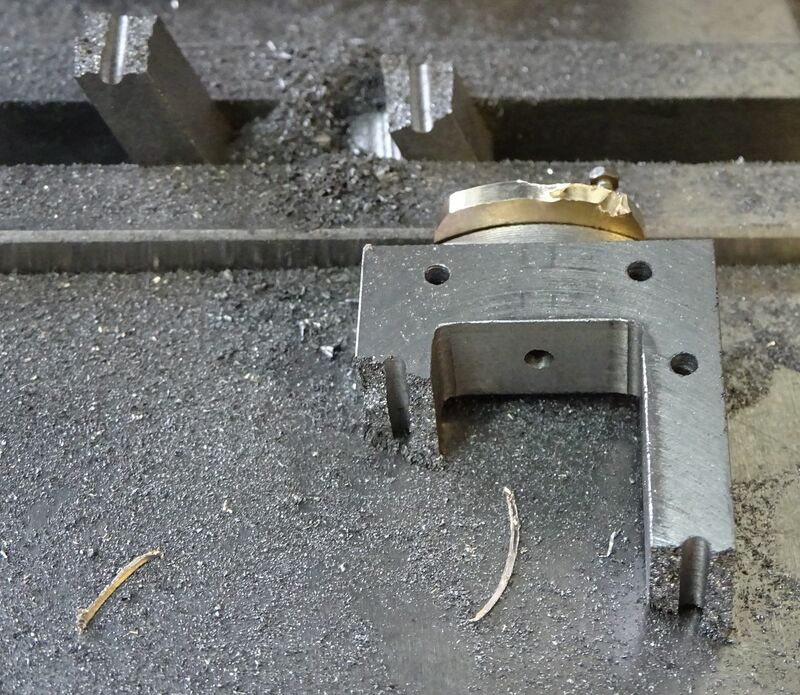 I had intended to screw the turned gland onto the end of the part and cut the "oval" shape in both parts as one but ended up doing the chest first which I did lowering the head and stopping when the DRO read 3.0mm. which went fine. I then turned up and drilled the gland using the incremental DRO setting so I could go back to the chest and not have to ctr it up again. So screwed gland onto chest and started cutting but this time as I did not have to stop the cut at a specific height I used the quill feed. Probably got a bit greedy and feed down to fact, cutter dug in and pulled the quill down and bang. As Pete spotted it was not cut from a known piece of CI bar but liberated from an old York Multigym weight and was not as fine a grain, infact I also found a flaw in the iron as it was machined so should have probably binned it then. Though the break was not across the flaw. You can see it on the far side of the cavity but I thought it would make for a more authentic" casting"
Hi Jason , sorry to see this happened... when i drilled my steam chest through the opening for the valve spindle, to keep the drill from wandering i always insert a piece of perspex in the opening ...I found this to work quite well !! Thanks Willy, I did see that in your earlier post, I usually use along series ctr drill but the valve rod on this engine is 2.5mm and my smallest drill 1/8". 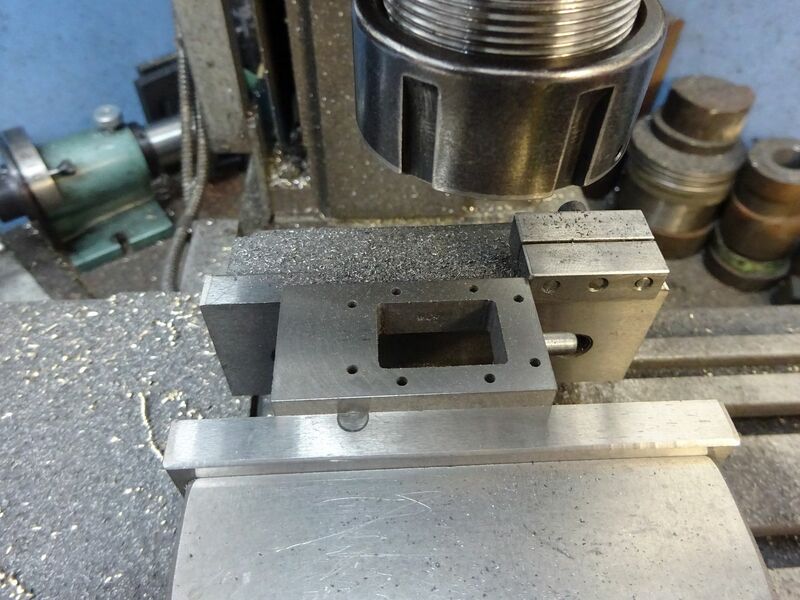 I wonder if it would be safer machining the valve rod detail before milling out the centre cavity ? Just as a matter of interest what engine is it for ? There is a risk that a long 2mm drill will wander drilling a deep (48mm ) hole so 6 of one and all that. 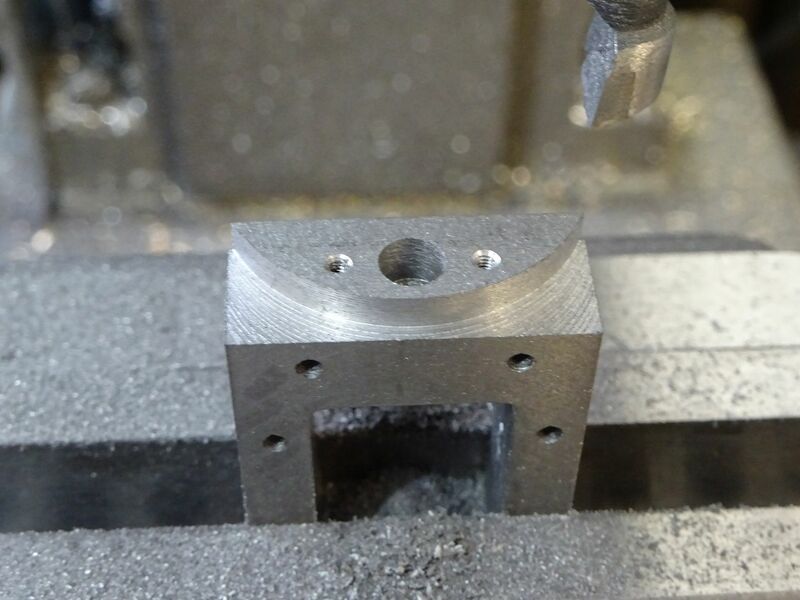 It's for the next 24mm bore one, teaser pic in the Robinson reject thread a few days back. Thanks, that's an attractive looking engine. I hadn't seen that posting.